Beach Chemical & Paper Co., Inc. has an on-site Parts and Service Department to assist you with any of your equipment needs. We are also available for Road Calls. Whether you purchased equipment from us or not, we offer you piece of mind through our pickup/drop-off service, the use of quality parts, efficient repairs, and competitive pricing. 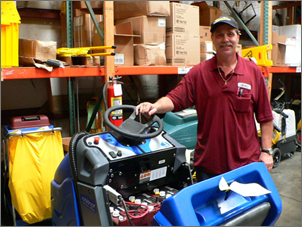 Beach Chemical’s Parts and Service Department works on a variety of equipment including buffers, scrubbers, carpet extractors, vacuums, air movers, ride-on-equipment, burnishers and steam machines. Contact us today and schedule your PM or request service on equipment. Virginia Beach, Chesapeake, Norfolk, Portsmouth, Suffolk, Hampton, Newport News, Williamsburg, Richmond, Northern Virginia, Nags Head, Hatteras Island and the Outer Banks. 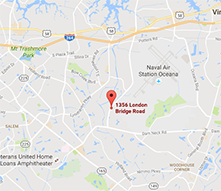 – I-64 to I-264E, to exit 19C, London Bridge Road. – Turn right at bottom of ramp. – Go through 3 traffic lights, approx 1.5 miles. – Beach Chemical will be on the left.